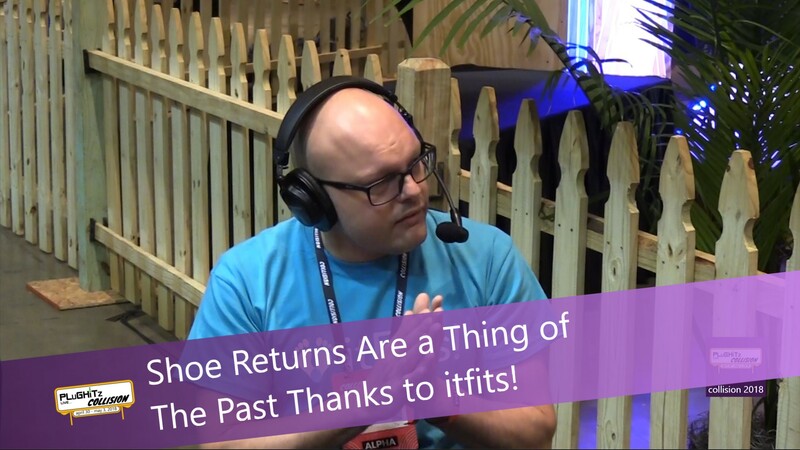 Shoe Returns Are a Thing of the Past Thanks to itfits! For anyone who has tried to buy shoes online, they have found that each company has its own sizing. This makes shopping hard because customers wind up returning their purchases. In fact, up to 10-30% of online shoe purchases are returned because of improper fit. Daniele Delle Case, CEO of Addi.fit, has come up with a clever and easy way to help solve all these problems. This idea came to Daniele because when he was a soccer player, he had problems finding the proper fit for his soccer shoes because not all brands in his size were fitting him. The process starts with taking only 2 photos of the top of your feet which creates a 3D model. It then compares the sizes of the shoes. It uses the statistics of the 3D picture and extracts the info and creates your personal data for the selection of your shoes. It then holds this information in a personalized profile after your first purchase for future purchases. This makes your online shopping faster and easier. As Daniele said, "shop faster for the cart!" This is not a platform for the consumer specifically. It is targeted for online retailers to improve the shopping experience of their customers. The cost for the retailer is free and costs nothing until purchases are made. Then it is 1 Euro ($1.13 US) per transaction. Daniele has plans for the future of Addi.fit. He wants to be able to create his own line of custom-made shoes and at the same time be able to promote their designs with other designers and their ideas. He feels this is a good starting point to help other designers and the economy. He is hoping for this to be happening in 2-3 years out. For more info go to the company website.